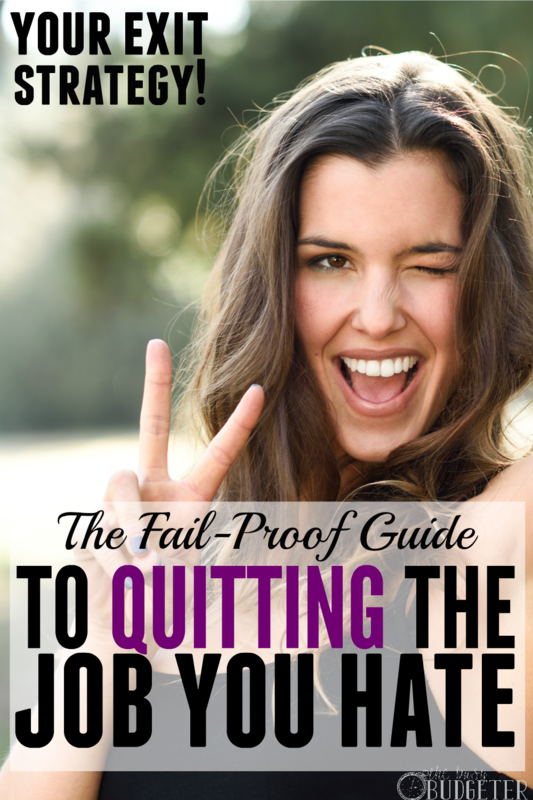 Looking for a step-by-step guide on how to quit your job? Look no further! These action steps are the key to finding a job you love. Feeling stuck in your job and career is one of the most common problems of readers that I talk to. It’s also a feeling that I know well. Learning how to quit your job and find one that you love is life changing knowledge. When you feel like you have no other options and your job stops exciting you, the next 20 years can seem like an eternity and you feel like you’ve lived your whole life before you have. How to know if it’s time to quit your job. That’s a clear sign that it’s time to quit your job. Reasons that people don’t quit their job. How to quit your job: the proven system. At this point, I’ve helped dozens of friends and readers quit their jobs to find new jobs with companies that they love, start their own businesses, or stay at home (if they want to do that). All of those choices are available to you too… The difference? You haven't thought about it. I’m going to change that for you right now. As we go through the steps, I’m going to use myself as an example beneath each step so you can see it applied. I was a police officer. Who believed passionately in what I was doing, but found the job to be emotionally exhausting. The times you get to truly help people are drastically outweighed by the times you have to make someone's day worse. Besides having to be the bearer of bad news often, police work also comes with long hours, an unpredictable schedule, working weekends and holidays and it severely affects your ability to arrange child care and plan family time. While I believed in what I was doing, I wasn't thriving in that environment, and I felt stuck because the skills of law enforcement don't transfer well to new jobs. These are the steps that I’ve taken and led dozens of others through to quit the job you hate. This isn't easy. It’s time intensive and detailed. But if you really want to quit your job and find a job that you love this is a proven way to do it. I mean, really know who you are. Your personality is a set of inherent traits that make you who you are, while we’re all pretty unique, there’s also a lot about us that can be predicted based on what our personality traits are. The easiest way to get a comprehensive understanding of who you are and what situations you’ll thrive in is to take the Myers & Briggs Personality test, The official site is here (but the test costs $50. If you’re okay with less official results, than you can get a free Myers & Briggs personality test here. This gives you a baseline to understand what environments you’ll thrive in and what you’ll feel overwhelmed in. Reflect on your previous jobs. What did you like? What did you hate? Start listing those out and as opportunities come to you and as you seek opportunities out, compare those to what you have. I hated the unpredictable schedule and long hours of being a police officer. Actually, I despised it. So, switching from that to being a firefighter would have left me in another job I hated. This is one of the key elements in people switching jobs and then hating the new place. It’s like breaking up with a cheating boyfriend and then dating another cheating boyfriend. You’re repeating the exact same cycle every time. You’re finding the same type of job and then get confused when you end up hating it. My personality is well suited for social work, activism, psychology, and counseling. I’m good at problem solving, seeing both sides of an issue and persuasion. Which are the parts of the job that I loved! Helping people! But every job that I had with an unpredictable work schedule, long hours and mandatory overtime I hated. I love working, but I love my family more and I’m passionate to the point of flaw about being able to spend time with my family. I also hated working for leaders that were assigned to me. Kind of an issue everywhere. If I found myself under a leader that I believed in, I performed well, If I found myself under a leader I didn't believe in, then it would seriously affect my work performance and I couldn't just “let it go”. I had to believe in my mission AND I had to believe that the people above me were just as dedicated to the mission as I was. While bad leaders are likely a problem everywhere, it’s particularly a problem in police work where people are promoted from tests and move frequently since we have a high turnover. And If I’m being totally honest. I’m not great at taking orders. If someone told me to do something that I didn't believe in or didn’t agree with, I wouldn't do it. I’d rather be fired or imprisoned. Which means that law enforcement and military are pretty much the worst jobs for me to have, since both rely on a military structure of following orders. *note: Your results will likely be completely different than mine, but I want you to think it out in the same way. The ultimate goal is to identify the areas that you will thrive in and the areas that you won't thrive in. When I felt stuck in a job that I hated, I absolutely hated anyone talking about finding your calling or passion. I just wanted to get out! I didn't care where! But the key here is to slow down and to make the right move. Spending just a small amount of time figuring out what you’re passionate about will make you LOVE your work. In a way that you can’t even understand right now (I certainly couldn’t! ), we all have things that light a fire in us. These passions usually come out in our free time. What do you love doing and why do you love doing it? Make a list of everything that makes you excited and that doesn't feel like work. The key to leaving a job you hate is to find a job you love, otherwise, you’ll be back here in a few years trying to figure out how to leave the new job that you also now hate. The best way to find a job that you love is to spend time brainstorming about what you love, and why you love it. Find your perfect job, not an opportunity. Ignore what's available right now and make a list of jobs that you think would be perfect for you using all of the information you’ve already gathered. Things you’re passionate about, what kind of work environment you enjoy and what kind of hours you’d like to work. Really think about these jobs. And don’t count out a job because it seems far out of your reach or requires formal education (regardless of your age). If you think you would thrive as an author or actress, it goes on the list. Choose jobs based on who you are, and where you would thrive, seriously thinking and researching about each job. Only cross out the jobs that wouldn’t be the perfect fit for you. In some cases, you’ll need to narrow down the jobs. Let's say I love order, attention to detail and organizing. I love being helpful and routines make me feel comfortable. I’m strong at building relationships and I’m loyal. I’d be a great fit for a secretary. That’s work that I would really enjoy and I’d find fulfillment in building a relationship with my boss and having him know that I’m reliable and he can count on me for anything. That being said I’d be horrible as 1 of 100 secretaries in a large firm that treats staff impersonally. I’d thrive working with one person as his or her personal secretary. Preferably someone with a complimenting personality to me. So on that list, instead of writing secretary, I’d write personal secretary who reports to a strong leader. There can be caveats to your job. Lots of them. This list is created for you. You’re assigning priorities as to what you feel the most strongly about. #1 being your favorite and the highest number being your least favorite (but still something well suited to your personality that you would thrive in). There can be no ties. Go through your list and weigh the factors of each job (don't take into account how hard the job is to get or formal education required). Assign a number to each job, number 1 is your ultimate dream job and then work down. Everything on this list should be a position that you feel you would thrive in. Now I want you to look at the list again, ignoring the numbers you assigned and assign each job a letter based on how easy the path is to get that job. Starting with A for the easiest. Something that you know if you apply yourself to, you can probably get a position there quickly. The last letter on your list will likely be something really hard to achieve like author or actress. Taking the list you have, I want you to choose your top 8 jobs (just in numbers) and then arrange them based on letters starting with the letter closest to A. Now we have a list of your dream jobs starting with the ones that are easiest to achieve (which may still be pretty tough to achieve). Take each of those 8 jobs and map out a path backward to actually get hired for a position. Are there requirements needed for the job? Do you need to start your own business? Map out all of the (probable) steps you would need to take in order to land the job. A good resource is to ask on Facebook if your friends know anyone in these jobs that you can do a 10-minute interview with. Likely you have a few hundred friends on facebook. And those few hundred friends each have a few hundred friends and you have a huge network of people that know someone. And all you have to do is ask. They can give you inside info on how they got into the job and give you insight on how they would go about landing that job. Hint: Offering to pay goes a long way in securing inside information on the job. Always follow up that inside information with a handwritten note. For each of those top 8 jobs, I want all of the steps from start to finish laid out that you would need to take to land that job. Have no felony convictions, drug charges, or serious misdemeanors on your record (automatic dismissal- not qualified). Be able to pass a polygraph that no felonies were committed and no drug use, unethical behavior (automatic dismissal). Have a good driving record and no DUI/DWI’s (usually an automatic dismissal- there may be exceptions but likely not worth this path if this is an issue). Be physically fit and able to pass a physical agility test (differ by departments, usually running, push ups, sit ups, or an obstacle course). Maintain (or become) a healthy weight. May need a college degree (in any subject) or military service (depends on department). Choose a subject that I have authority in and feel comfortable teaching. Follow the steps in this how to start a blog article. (Get domain, create website, etc). Grow a social media platform (Pinterest is easiest). Choose a monetization method (ads, sponsors, affiliates, products or consulting) Find out more about monetizing a blog here. Invest in a complete blogging class (Elite Blog Academy is the best by far). Write weekly posts teaching others about your subject. Make a full-time income blogging. Choose a job that excites you, gives you a fairly easy (comparatively) entry and that you know you can rock. Now, technically, if you have a rocking savings, and your budget skills are awesome, you could in theory just quit your job and go nuts. Most of us can't do that, though. We have to be a little more strategic. Choose a date that you will quit your job, no matter what. It’s not a maybe date, it’s a “this is happening no matter what” date. I usually set it one year out, which gives you plenty of time to put this into effect. Write that date everywhere you can think of. Make it the screen saver on your phone, stick it on your office wall. When your job gets tough, know that you’re only there for another year. You WILL NOT be someone who lives the rest of their life hating their situation but paralyzed to change it. Commit to a side hustle. You're going to choose a number of hours between 10-20 hours a week to work your side hustle. I always start at 10 and ramp it up to 20 hours as your goal gets within reach. Treat those 10 hours just as seriously as if you were clocking into a boss. You’re going to spend your 10 hours a week working through the steps you identified as needed to switch your job. If your dream job requires a switch of companies (not a switch of skills), then your time will likely be spent researching the corporate culture of the competing companies. You’ll want to find one that you’d fit in, network with people that work there and create relationships to help you find the best fit. Learning advanced skills will help you secure the job over your competition. If your dream job requires you to open your own business then your time will likely be spent researching the best path to market and monetize it, training to develop needed skills, raising capital (money) to purchase equipment or products. To use our above examples, if you want to be a police officer, you're going to spend the year, working out regularly. You’ll want to make sure that you're in a position that you can easily pass those physical tests and also be practicing for the written exam. You’ll need to research agencies to apply for while making a short list of the agencies that you really want to work with. Keep in mind career progression- if your ultimate goal is to be a detective or an agent that works homicides- that will be easier in a large agency that has a lot of homicides than a small town whose only detective will likely stay there his whole career. If you plan to go federal (FBI etc. ), you’ll likely need a college degree and experience in a large agency as a detective by the cut off age of 38. 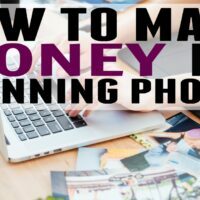 If you want to be a blogger, you’re going to spend those 10 hours a week creating a website (it’s easier than you think), writing posts, building up your platform (followers and email subscribers…. Want to be one of mine? Join me here), and monetizing the site. 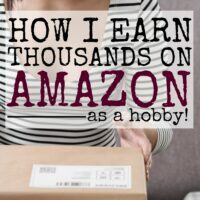 Using this system, I was able to become a full-time blogger in less than 10 months, and just two years later, I’ve 5x’d my old salary and work 20 hours a week doing a job that I’m so passionate about it’s hard for me to stop working. Much more importantly though than my own results is that I’ve been able to motivate dozens of friends and readers into positions that they love. Their new jobs range from photographer, brewery owner, executive secretary to a CEO, freelance writer, proofreader, home daycare owner, and voice over actor. You get one life. Just one. Go for great. So, where are you going to be next year? Great article! I am impressed that you took the leap entirely on your own. I had been feeling this way and then I feel like life gave me the little push I needed when my husband got a job in a new state and we relocated. So, now I am hoping to blog full-time thanks so his support. Your blog has been a huge inspiration so thank you! I love this post!! I used to go to a job I hated so much, but thought I could not quit because I had a family to support. The thing is, you can’t be that parent or partner you want to be if you are miserable all the time. You really can make it work with enough determination!! Great lessons. At least I have recieved the strategy. Thank you for this great lesson. When I was little I wanted to be a police officer. Eventually I learned I was gifted with writing. I majored in journalism and ended up working as a newspaper reporter – covering crime. I can relate to a lot of what you said here, from the other side. After writing about dead people for three years I was emotionally exhausted and realized the job didn’t fit the work/life balance I wanted. I had gotten married (a year before I quit) and being called out to 2 a.m. homicides was NOT working. I left that job and it was really bittersweet because I was passionate about providing the daily news to people but it was incredibly draining. I would have never guessed you were a cop BTW. Thank you for sharing and for your service. FANTASTIC ARTICLE! Life changing!!!! I’ve wanted to quit my job for a long time now and because I have bills to pay and no motivation from being exhausted and drained from work I didn’t do anything about my situation. 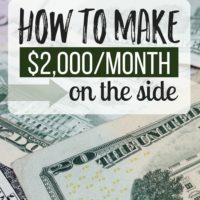 I’ve searched on Google hoping to find a great article that will motivate me to make a move and truly chase what I’m passionate about and THIS is the article that will change my life. Thank you for this fantastic blog post. Thank you so much for sharing your story! I am a social worker now and absolutely love what I do but the environment I work in is just too much. I don’t feel like I’m getting to help people in a way that is fulfilling to me. I’ve been wanting to quit for awhile but am trying to build the motivation to do so. Your story was very empowering, thank you so much! I LOVE this article! 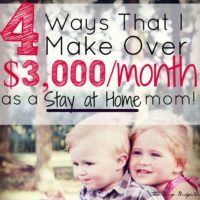 I personally had already done these steps about a year ago to figure out my true career calling and they really work. I’m now planning to quit my full time corporate job very soon to become a full time blogger and online entrepreneur. This post inspired me to keep going!